omid (mashhad, Iran) on 8 December 2018 in Landscape & Rural and Portfolio. Beautiful capture. I am sure being there would have been more beautiful than the image !! Very beautiful image, Omid. The fog adds mistery to the scene. gorgeous, what a beautiful view! Very nice image with wonderful dept and transported moods. Fantastic landscape ! I like the hazy waterfall through the green. Hum, I can fell the wet ! A beautiful wild place ! good framing and atmosphere ! 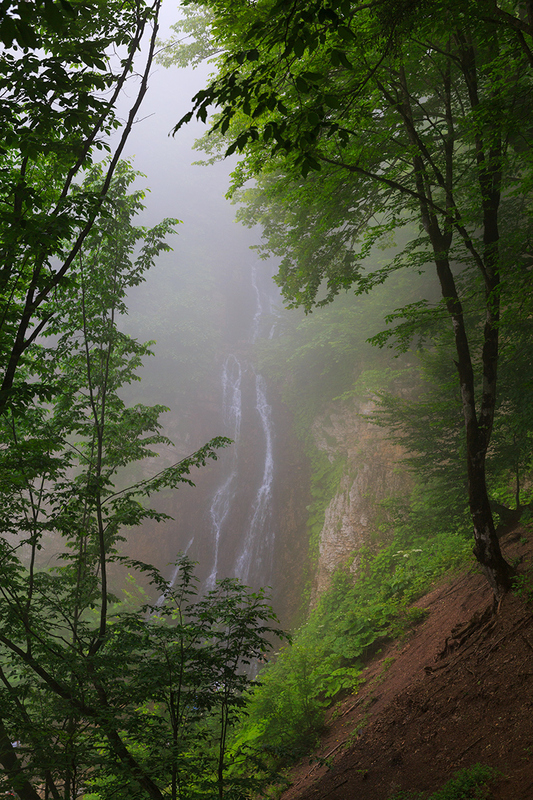 Great view of the waterfall and its misty surroundings. Superbe point de vue, sur cette magnifique plongée. It is quite a large drop. Nice framing and beautiful place! Belle mise en abyme de la cascade et la présence des branches des arbres procurent à notre regard fraîcheur chlorophylle et profondeur! Allez, je plonge! Primordial beauty and mystery. I almost expect to see a dinosaur. wow !! This is a poem Omid !!!!!!!!!!!!!!!!!!!!!!!!!!!!!!!!!!! Sympa cette cascade dans la brume. A landscape wrapped in fog. Magnificent image! This brilliant atmospheric photo is beautifully framed. A beautiful view on the waterfalls!!! Such a misty mood around this lovely waterfall. Beautiful waterfalls in the background ! A magnificent composition. A beautiful and majestic waterfall. Beautiful composition and very impactful.